Boudin is as much a part of Southern Louisiana culture as Cajun music or gumbo. And I’m here to tell you – if I had to choose between those – boudin would be my pick. If you’re a boudin enthusiast like me, OH HAPPY DAY - Boudin Wars is just around the corner. It’s like Christmas morning! So why shouldn’t you miss this delightfully, savory event? Here are a few reasons why I absolutely adore Boudin Wars. There is so much boudin at Boudin Wars, I imagine if I lined up all the links it would stretch for miles. Naturally, I’d make sure it was in the direction of my front door! So rest assured, when you arrive at the Brimstone Complex, there will be plenty of boudin samples to go around. Professional boudin masters from across the area bring their boudin recipes, all boasting to be the ‘Best Boudin’ and I get to sample every single one! That is Cajun heaven. There are two categories: traditional and exotic. Traditional recipes usually feature regular and smoked varieties and exotic recipes are where it gets REAL EXCITING! Have you ever tried seafood, crawfish, or cornbread boudin? Keep an eye out for unique recipes and make sure you try them! 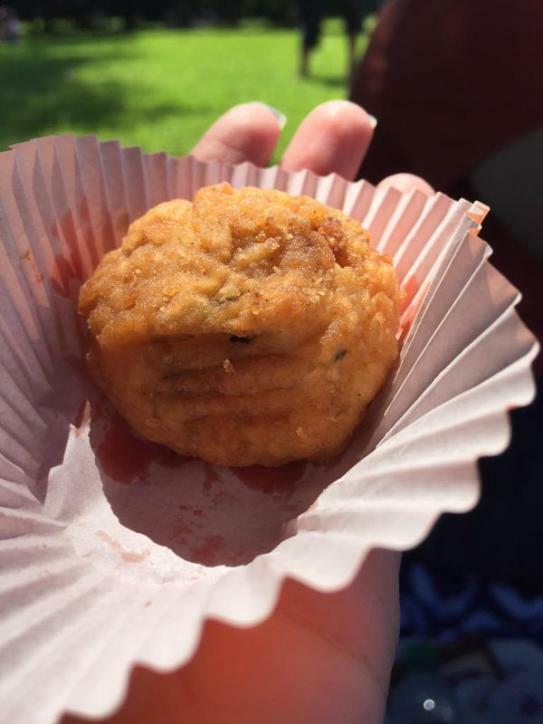 Last year I had my first crawfish, alligator, crab boudin ball. It was amazing. Tickets are only $10 and you get a box of boudin to eat. You can’t find a deal like that anywhere else. You’ll be full as a tick when you get ready to head home. Purchase your tickets, here. Hurry – they always sell out. Now some of you might be raising an eyebrow. But I consider creative boudin recipes a culinary art form. And boy, do these chefs deliver. Last year, I sampled a boudin egg roll. As expected, absolutely delicious. This year, I hear there will be boudin pizza. While Boudin Wars is the main attraction for me, it’s not the only activity on the grounds. Stars and Stripes in the Park Classic Car Show is set up right next door and if you’ve got any “gear heads” in the family – they will love it just as much as I love boudin. 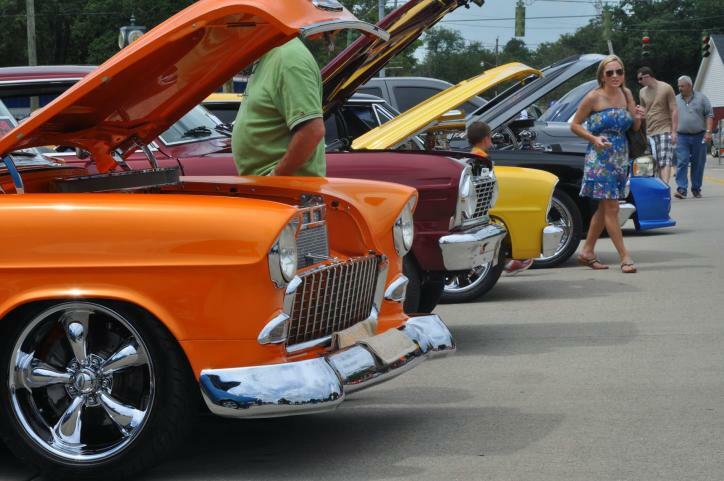 This is one of the largest car shows in Southwest Louisiana and there’s plenty of engine revving and burn outs. If you’re interested in both events, no worries! Grab your box of boudin samples and stroll through the car show. The car show is free. Let me know what your favorite boudin "flavor" is in the comments. I&apos;ll see you at Boudin Wars! For more information, visit www.brimstonemuseum.org, www.facebook.com/boudinwars or call 337-527-0357. Can&apos;t get enough boudin? 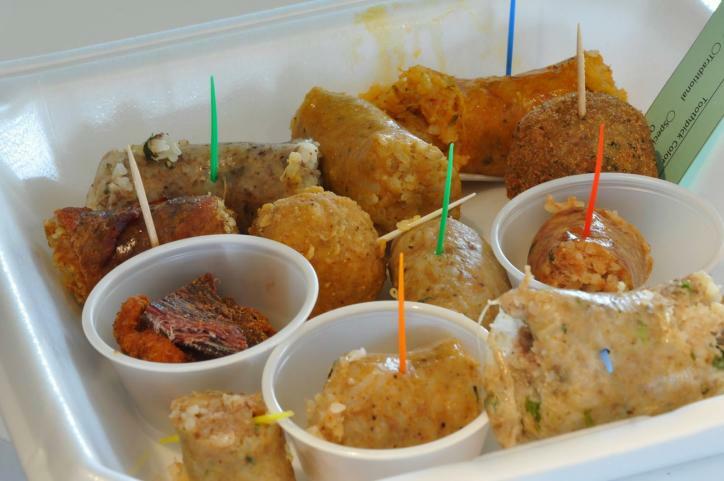 Take a trip down the Southwest Louisiana Boudin Trail for a day full of flavor!